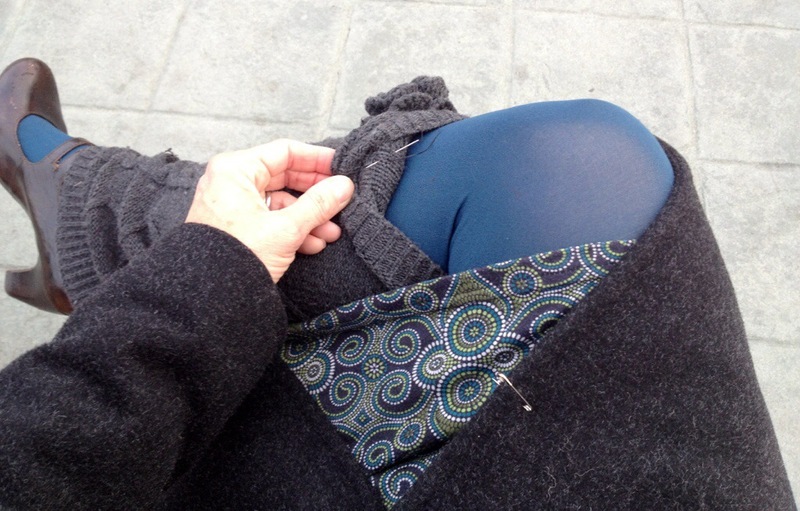 Bike Commute Diaries: A Stitch in Time | One woman. Many bicycles. Transit time is not wasted time. I check email, post to social media, read the news, and chat with train buddies. Today I grabbed a needle and thread as I ran out of the house, and had just enough time to quickly tack down the flower that’s been dangling on my leg warmer far too long. What’s next for me, knitting?